We carry out roof and gutter solutions and maintenance . We are also the creators of Alumaguard, a world first aluminium gutter guard system. 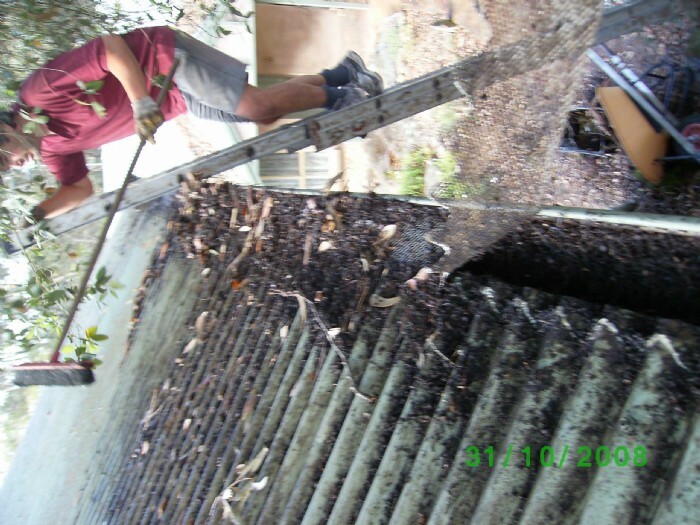 Our downpipe and gutter cleaning service is available anywher in the Blue Mountains from Blackheath to Emu Plains on houses as well as industrial and public buildings. Andrew Vilder and his team welcome you to the home of Natural Light Gardens, Porta-Garden and Alumaguard. Please take some time to explore the site, and view the many examples of our completed work. Blue Mountains Roof Care has been tailoring solutions to repair and maintenance problems for residential, industrial and commercial buildings since 1987. We specialize in repairs to roofs, gutter maintenance and gutter guards. We also design and build small landscapes and gardens, offering unique concepts such as Lucky Stone Art, curved privacy screens, and use of recycled and space-age materials. And check out our garden lighting systems such as Star Tubes and Star Bubbles. Contact us soon to discuss your property needs and ideas, we are always happy to assist!